The company HUOBER BREZEL emanated from the idea of master baker Emil Huober to bake a crispy pretzel from purely natural ingredients that with even baking was "always fresh, always crispy". 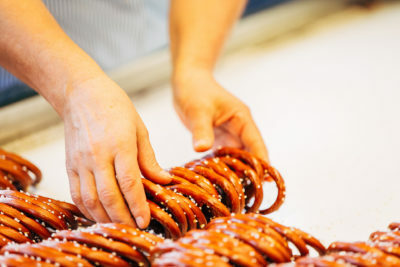 The crispiest part of the traditional baker's pretzel, the "arms" that are folded in the middle, became the quality standard for the company's produce. Emil Huober had already developed his recipe back in 1939 but was not able to rent premises until well after he came back from being a prisoner of war in WWII. 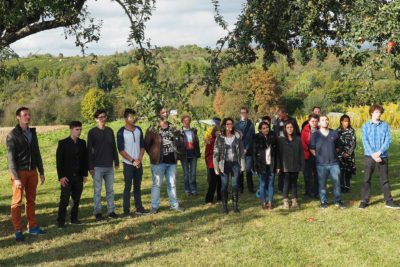 He started to rent the premises on Badstraße in Erdmannhausen, a village situated between the agglomeration of Stuttgart and a forested area called Schwäbischer Wald. His wife Grete ran the shop they had in Stuttgart for one more year with the help of her father-in-law. Word spread and people were impressed with the idea and quality of the HUOBER pretzels. 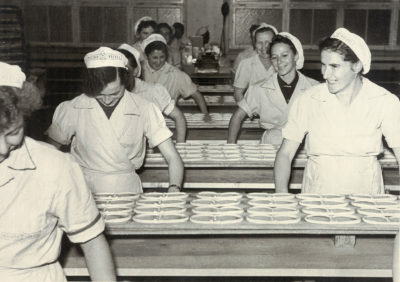 The Stuttgart bakery was soon let for rent and the first Württemberg pretzel factory was developed in full. Grete Huober then became responsible for the sale of the pretzels. Demand continued to increase and soon HUOBER pretzels were to be found in lots of pubs, open air swimming pools and kiosks at sightseeing destinations. 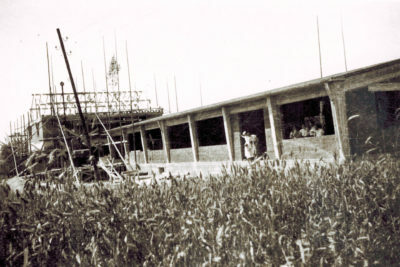 In 1954, the new HUOBER pretzel factory with business and residential premises was built in Erdmannhausen. From then on the pretzels were looped by hand, usually by women, in two shifts. 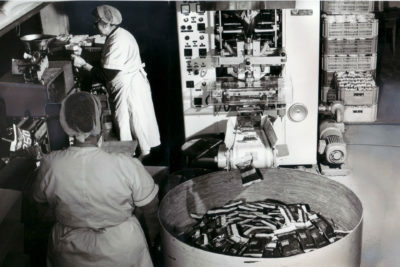 Both the awareness and popularity of HUOBER products grew, particularly in southern Germany, and since 1958 the pretzels have been shaped by machines that were developed specially to manufacture these pretzels. Over the years, the product range was increased: pretzels in various sizes and a range of sticks. Eating habits started to change though in the sixties. 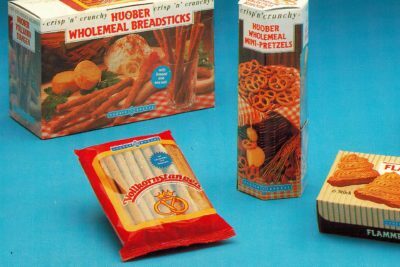 Whereas originally you would only find HUOBER pretzels in the gastronomy sector, people were more and more interested in being able to eat the salt sticks at home, and so packs were made for domestic use and were sold in supermarkets. The sales environment was changing and it became increasingly difficult to hold out against the sales policy of large groups in the fight for market share and space on supermarket shelves. A lot of savoury snack manufacturers lost this battle and were bought up, a phenomenon that is well known in other food and drink sectors, such as breweries. In a difficult economic climate, Karl Huober took over the operative management of the company in 1980. Under the second generation, the focus of the range was gradually returned to the essentials of proprietary production and the company's strengths in the manufacture of salted baked goods. The most important thing was to secure the company's existence and this also entailed taking advantage of export opportunities to other European countries, Australia and the US. But all along, the company stuck to its own principles and the demands of customers who were looking for food alternatives were taken seriously. This has resulted in products being made especially for natural and health food shops since 1982, opening up further market niches for the HUOBER brand. 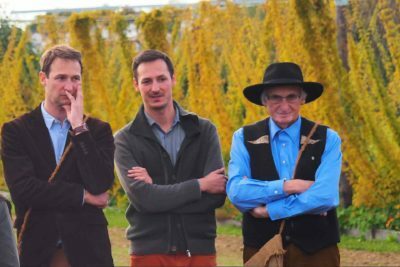 This product line later led to the development of the company ErdmannHAUSER, an independent manufacturer and partner of biodynamic farmers in the region. 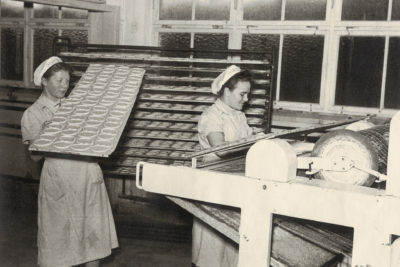 While such niche areas supplemented HUOBER production, HUOBER BREZEL concentrated on extending its expertise as a maker of salted baked goods. 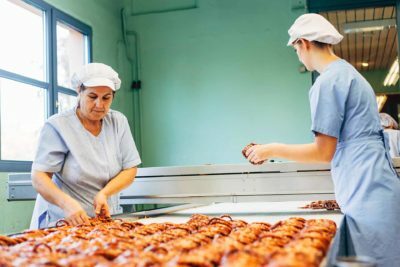 HUOBER BREZEL is the first manufacturer outside the natural food sector to produce all of its traditional range entirely in organic quality – and it has been doing so since 1996. Organic is not a luxury. 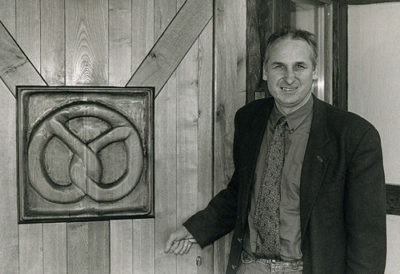 Organic is the basis – of HUOBER BREZEL. The brand has been increasingly available in natural food shops since 2007. At the start of the new millennium, Solvår and Karl Huober founded the education initiative. This supplements routine everyday business for junior staff of the "corporate group" Huober Brezel, ErdmannHauser and BioGourmet. "The education initiative is intended to encourage our staff to become aware of and actively address the discernible contradictions of modern social life." In 2008 HUOBER started setting up its own sales team. 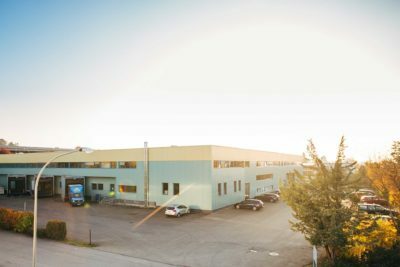 A suitable warehouse was found close to the company premises in which, once renovated, warehousing space was provided initially for the goods of HUOBER BREZEL and ErdmannHAUSER. The logistics centre was set up as a platform for other organic manufacturers. In 2011, the company acquired the delicatessen brand BioGourmet. BioGourmet is now based in Erdmannhausen where its orders are also put together. The HUOBER sales team is supported throughout Germany by a network of agencies. HUOBER BREZEL is seen as a reliable partner wherever the paradigm shift in the food industry is accepted, desired and demanded. 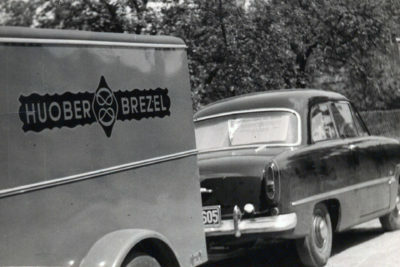 Today, HUOBER BREZEL is the only manufacturer of salt baked goods in Europe which has always preserved its independence. "Head" and "hand", management and staff, sales and production are always accountable to one and the same body at HUOBER BREZEL. Originally farmers, later millers and then bakers ... today the third generation of the Huober family is a processor of grains and cereals from organic and biodynamic agriculture.